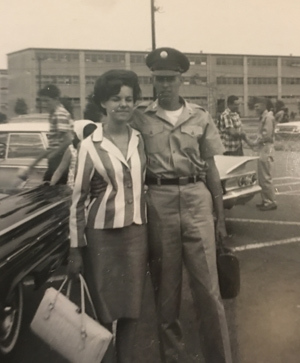 Virginia McGivney said that her husband Kevin, a Vietnam veteran, was healthy most of his life. No heart problems or diabetes—illnesses that were all too common among peers in their 70s. Then in 2016 the Army veteran—who long believed he had been exposed to Agent Orange— was plagued with cancer that traveled through his sinuses and destroyed bones in his face. McGivney said that missed initial diagnoses of Agent Orange-related illness and cancer, compounded with a delay in care through the Choice program, seemed to hamper the road to recovery. But she held out hope for her spouse. However, by the time McGivney was diagnosed, it had already reached stage four, and was too advanced for radiation or chemotherapy. The Army veteran underwent a 10 and a half hour surgery to remove the tumors. In February this year, Kevin McGivney lost his battle with cancer. And Virginia McGivney lost her beloved husband of 50 years, the father of their two children and grandfather of five. McGivney reeled in grief. But now she had to focus on how she could support herself in the wake of her loss. A close veteran friend of her husband recommended DAV. 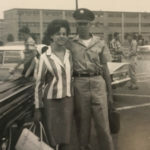 That is when she was connected with Assistant National Service Director Steve Wolf. He understood that an accelerated resolution was necessary to ensure McGivney didn’t risk falling into debt or worse—lose her home. Wolf consulted with Brandon McKinney, the supervisor of the Togus, Maine DAV national service office. The two determined McGivney would be a good candidate for a decision ready claim, which allows veterans or their survivors to submit claims that are deemed complete by an accredited VSO. This results in expedited processing. “Virginia had the majority of the necessary evidence for consideration, so we had her collect any other requirements and then submitted her claim,” explained McKinney, who collaborated with Wolf and processed the intent to file on March 20. Just over one month later on April 24, McGivney was granted Dependency and Indemnity Compensation. DIC is a benefit paid to eligible survivors of service members who died in the line of duty or veterans whose death resulted from a service-related injury or disease. McGivney was shocked when she received a letter from the VA confirming her benefits. Then she was relieved. “I looked up at the heavens that day and said ‘Kevin, I’ll be ok,’” recalled McGivney. DAV National Service Director Jim Marszalek applauded his staff’s commitment to fast tracking McGivney’s claim. She purchased a card to articulate the gratitude she felt toward Wolf. Learn about decision ready claims here. 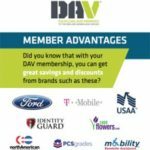 If you think you may be eligible, contact a DAV National Service Officer near you. Find yours at dav.org/veterans/find-your-local-office.